Pasta is not a much welcomed dish in our household, but once in a while when we feel like having a buttery and cheesy delight we opt for pasta .So here is one famous version of pasta white sauce penne pasta which is actually a hit recipe in my house. Anything and everything which has sweet corn is my daughter’s fav so she loved this White sauce pasta too. And we had a filling breakfast with this recipe. Now let’s get started. In a sauce pan add in enough water to cook the pasta to this add in a tsp of olive oil and cook the pasta till it is done. Once cooked Drain it and set it aside. Now in a pan heat it with a tsp of olive oil add in all the veggies and sauté till the raw smell leaves and set aside. Now start preparing the white sauce. Heat a pan with butter once it melts add in the Maida and mix well such that no lumps remain. Now add in Milk and mix well, such that the Maida is fully dissolved. Mix well to this now add in Pepper powder, Garlic and oregano. Next add in the Sautéed Vegetables and Cooked Pasta. Give a good mix and sprinkle with grated cheese and switch off the flame. The pasta tends to get thick if consumed little late. Hence in that case add little milk and salt and adjust the consistency. Add any veggies of your choice. More cheese can be added if you prefer. 1. In a sauce pan add in enough water to cook the pasta to this add in a tsp of olive oil and cook the pasta till it is done. Once cooked Drain it and set it aside. 2. Now in a pan heat it with a tsp of olive oil add in all the veggies and sauté till the raw smell leaves and set aside. 3. Now start preparing the white sauce. Heat a pan with butter once it melts add in the Maida and mix well such that no lumps remain. 4. Now add in Milk and mix well, such that the Maida is fully dissolved. Mix well to this now add in Pepper powder, Garlic and oregano. 5. Next add in the Sautéed Vegetables and Cooked Pasta. 6. Give a good mix and sprinkle with grated cheese and switch off the flame. 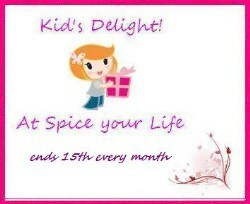 This is for Srivalli's Kid's Delight event, guest hosted by Sandhya, themed on Family Recipes. An absolutely delicious cheese filled pasta dish. My daughter would love it too. Sauce sounds super rich. Additional of vegetables makes it so colorful. This is my daughters favorite version.Kids surely love pasta! Who will say no to this absolutely irresistible, creamy white pasta, omg even my mouth is watering here. My kind of sauce for pasta. Creamy and delicious. I am the only pasta fan at my place. My son prefers it with red sauce than white sauce, but I like it the other way around. The sauce sounds amazing!! And the step-by-step procedure is so good!! Wow, love this creamy & delicious pasta dish. I love such pasta dishes. Oh gosh I simply love this white sauce pasta and enjoy when I make it for the kids..looks so inviting! Your pasta looks so creamy and delicious. I am not a big fan of white sauce. Seeing your post makes me to try it.